The official Government and Legal notices for today [April 12] include acting appointments, boards appointments, fisheries notice, cancellation of registration and notification of planning applications registered. Mrs. Darnell Harvey, Investigations Officer, Human Rights Commission has been appointed to act as Executive Officer, Human Rights Commission from 8th – 19th April, 2019. Mr. Norbert Simons, Director, Department of Youth and Sports has been appointed to act as Permanent Secretary, Ministry of Labour, Community Affairs and Sports from 11th – 21st April 2019. Applications registered between 4/5/2019 and 4/11/2019. Objections to applications must be received within 14 days of the date advertised [April 26, 2019]. The applications shown below are available for review during normal working hours at the Department of Planning, 5th Floor, Dame Lois Browne Evans Building, 58 Court Street, Hamilton HM 12. Any person wishing to object must do so within 14 days of the date of this publication [4/12/2019]. Letters of objection should state any interest which the objector[s] may have in property nearby, supply an address at which notice may be served on the objector[s], and provide a concise statement of the grounds of the objection. For further information on the objection procedure see the Development and Planning [Applications Procedure] Rules 1997. Proposed Partial Change of Use of Ground Floor from Retail to Walk-in Health Clinic [formally P-Tech]. Proposed Subdivision to Create 1 Additional, Adjustment of Right of Way for Lot 9C Devonshire Bay Road to the Foreshore of Rocky Bay, Right of Way for 17 and 18 Rocky Bay Lane to Access Forshore of Rocky Bay, Granting of Right of Way to 17 Rocky Bay Lane over 19 Rocky Bay Lane. Proposed Internal Conversion with Minor Additions to Create a New Dwelling Unit [2 total]. Proposed New Cottage, New Garage, Gravel Parking area and New Cesspit. Proposed Pool, Pump Room, Wood Deck, BBQ Gas Storage, New Pergola, New Planter, and Gate 4ft Max high. Proposed Revisions to Existing Planning Permission [P0048/18]. New Porch, New Gates, New Steps, New Retaining Walls, Proposed New Parking with Car Port, New Dog Kennels and New Bathroom. Proposed Internal Renovations, New Tank, New Extended Brick Patio, New Exterior Steps, New Portico and Flat Roof Over Entry, Repairs to Existing Porch Roof [Listed Building]. New Temporary Floating Dock [160 additional sq. ft.] to be used and attached to Main Dock during Summer Months [April-September] on 5 Star Island. Proposed Tourist Accommodations [4 Bedroom, 4.5 Bathroom]. Rebuild Existing Cottage with Additions to Create A 1 Bedroom Cottage [no new dwelling units created]. Conservation Management Plan Added to Application. Proposed New Upper Addition to Existing house to create a New Bedroom, Closet and Bathroom. Proposed Addition of Crossroad Canopy to Link New Passenger Terminal Building to Bus Canopy [previously approved]. Minor Revisions to Existing Bus Canopy to Allow Connection of the New Crossroad Canopy. The Minister of Home Affairs is pleased to make the following appointments with effect from 12th April 2019, under the applicable Legislation unless otherwise indicated. 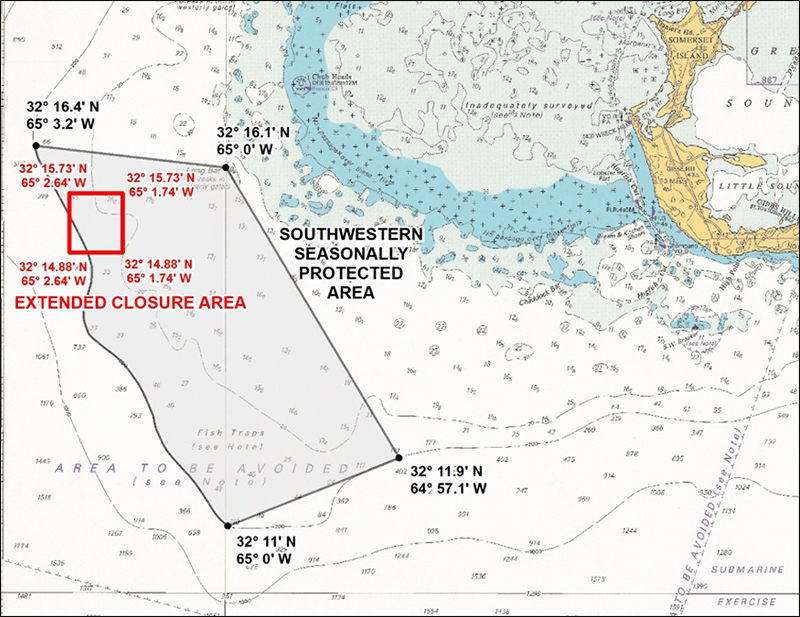 The Ministry of Home Affairs reminds commercial and recreational fishers that fishing in the Seasonally Protected Areas, also known as the “Hind Grounds” and “Grouper Grounds”, will be prohibited from 15April to 14 August 2019 in order to protect spawning Red Hinds and Black Groupers. 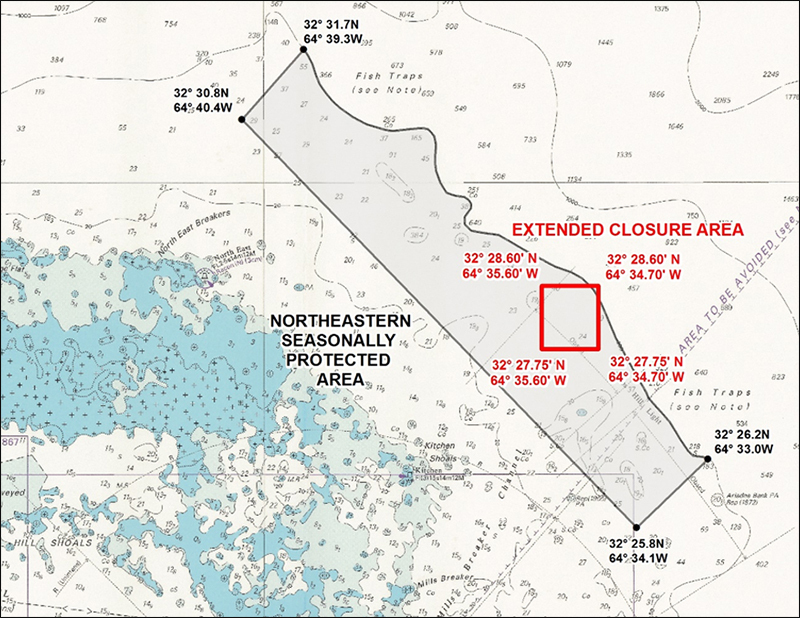 : Also note that while the Seasonally Protected Areas open on 15 August 2019, the Extended Closure Areas around important Black Grouper aggregations will remain closed to fishing until December 1, 2019.: See the below maps.